Practical and comfortable boys’ full-zip hooded jacket. Made with double fabric, it guarantees maximum freedom of movement thanks to the elasticated fabric and raglan sleeves. 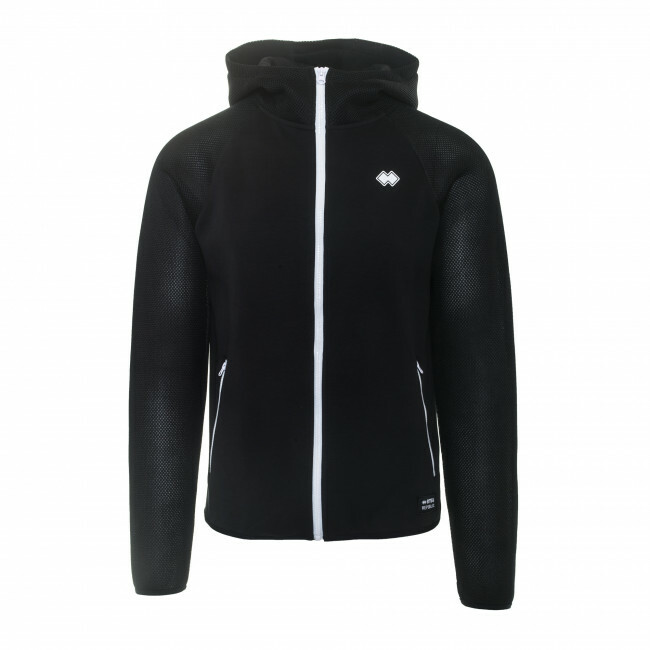 The sleeves and hood are made in breathable fabric to offer excellent air circulation and a sensation of lightness. The contrasting zips highlight the technical sporting design. It comes with practical zip-up pockets to keep all your essentials safe. Composition: Uni Fabric 100% Polyester (body), Mesh 100% Polyester (sleeves, hood).